During the first minutes of the game, Wake Forest struggled to generate offense mainly due to Columbia’s option to play the Deacons with a counter-attack mentality. The Lions put all eleven players on the defensive side of the field to jam the passing lanes to try to get a steal. And it almost worked. Columbia scared Wake with a nice shot by Arthur Bosua through the right side of the box. A few minutes later, another counter-attack by Columbia led to a one-on-one situation of Bosua against the defender, but Wake Forest’s defense recovered well to make the tackle. This was the trend early, as Wake struggled to find its game against a very disciplined Lion defensive effort. Wake finally generated some pressure with an outside shot by Brandon Servania around the 14’ mark, but Dylan Castanhera made a difficult diving save. Servania’s attempt started a sequence of Wake Forest offensive plays as the Deacons started to establish rhythm offensively. However, neither team capitalized on their offensive opportunities early on. Columbia’s offensive game plan was centered around Arthur Bosua and his ability to create offensive plays. Usually, the Lions try to develop plays through the laterals and cross it to Bosua, whose size and speed posed favorable matchups against Wake’s slightly undersized defenders. Both teams exerted control for some periods of time, but they headed to halftime at 0-0. Wake Forest started out the second half more consistent on offense. but still struggled to open up the score. At the 71’ mark, Nike Azuma found himself one-on-one with Andreu and the Columbia midfielder almost opened up the score for the lions. Wake had the ball possession advantage, but Columbia was creating dangerous offensive plays. With just under 2 minutes remaining, Deshields was fouled inside the box and the referee marked a penalty kick for Wake Forest. Jon Bakero converts the PK, and Wake Forest took the lead with 1:44 remaining in the game. Both Zach Morant and Arthur Bosua had game-tying opportunities for Columbia, but the Deacs held on to the lead and won the game by 1-0. The following week, Wake Forest faced the Butler Bulldogs started as a partial repeat of the Columbia game. At this point of the season, a slow start does not come as much of a surprise, especially given the fact that Wake Forest had the best offense in the ACC during the regular season, their only loss of the season coming against Georgia State, a team that successfully employed a counter-attack strategy. The first half of the Butler game unfolded pretty much the same way as the Columbia game. Wake Forest was a little slow to establish its fast-paced passing game on the offensive side of the ball because of an overcrowded defense by Butler. However, unlike the Columbia game, Wake Forest successfully dominated most of the ball possession which kept Butler’s offensive game in check over the first half. It was not until the fifty-first minute-mark that Wake Forest would have success offensively. After an individual play by Ema Twumasi, the first-team All-ACC midfielder assisted Brandon Servania who launched an upper-90 bomb to the back of the net, putting Wake ahead 1-0. Then, Jon Bakero scored with 5 minutes left on the clock on a rebound by Omir Fernandez rocketing Wake Forest to a 2-0 win. Overall, these were solid wins for the Demon Deacons. At this stage of the season, it is unrealistic to expect Wake Forest to have blowout performances. The level of competition is high and every team is very aware of how Wake Forest plays. The important part right now is getting the job done, and although Wake has not been able to click offensively as they did during the regular season, they were able to get it done. Next up, Wake Forest is set to face the Stanford Cardinals. Anyone who followed college soccer over the last 2 years knows how much the Cardinals have been the Deacs nemesis. 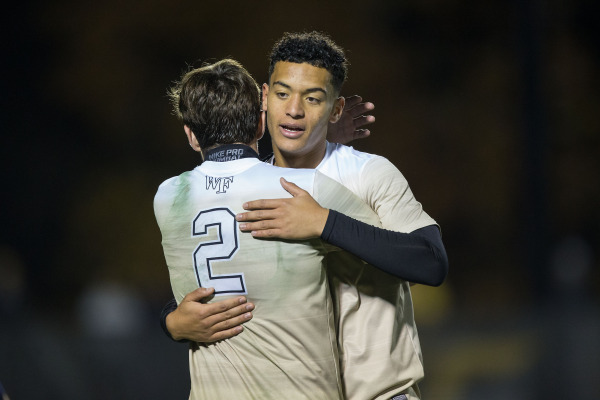 The back-to-back champions of the College Cup have eliminated Wake Forest two years in a row. In 2015, Stanford defeated Wake during the third round of the championship with an OT score. Last year, Stanford claimed the College Cup title by defeating Wake Forest during penalty kicks. Lately, Stanford has had the Deacs number. Once again, Stanford is between Wake Forest and their dream of winning a second National title. However, this time the Deacons hope to change history playing at home. The game will be played at Spry Stadium this Saturday at 7 p.m. in what promises to be one of the best atmospheres that College soccer has ever seen. 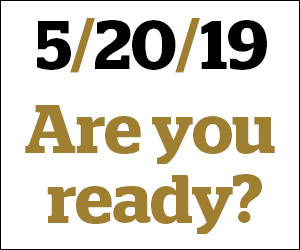 See you at the game, and go Deacs!